We have been working hard the past few months to define the future of Super Skelly Belly. We set our eyes on ensuring that the next content update would feature new content and pave the road for release! This patch has taken much longer than previous iterations due to reworking old assets, cleaning up game jam code, prototyping new features, and juggling Life. In version 1.3, we've revamped the character with a new design and new character animations. The controls have been tightened to allow greater control over height and speed. The new animations complement the reworked controls to improve upon our precision platforming. A big focus right now is adding new features to the game. The current play time maxes out at just a few short minutes for most players. We'd like to expand that by creating a global leaderboard and allowing players to explore different organs and areas within the belly of the beast. 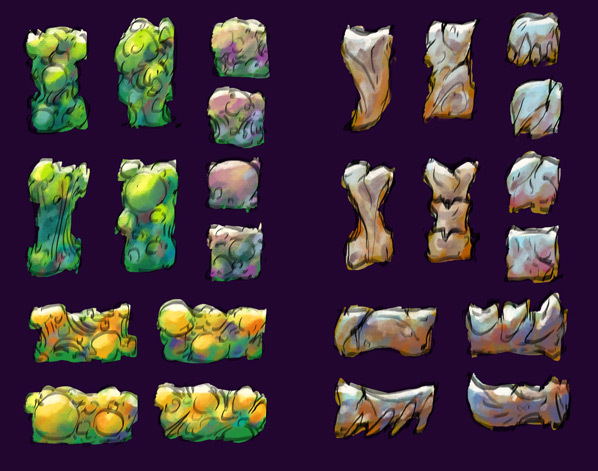 A development sink has been concepting and prototyping a variety of new blocks and gameplay elements. Each region will have unique challenges and block types with scaling difficulty depending on your current score! As we finish up version 1.3 and we are looking for people who want to help us playtest the game and give us feedback. We have added several new things to the game, and we are looking forward to seeing how they affect the game. We have seen some incredible scores posted on the internet from version 1.2 and for version 1.3 we plan to launch a global high score. The highscore can be found here and you can also sign up for our newsletter if you are interested and want to get early access to the next version of the game. All the love and help would be really appreciated. Volunteers will be entered into a raffle to receive a free copy of the final release early next year!